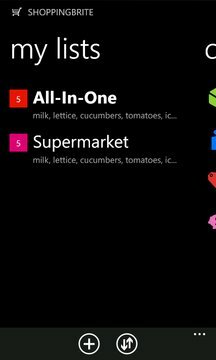 Great shopping list for Windows Phone! Smart, handy and intuitive when doing shopping and also contains handy calculators. 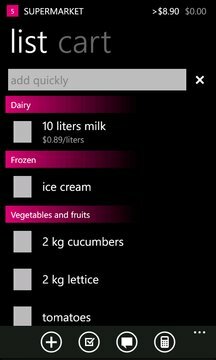 This app is under continuous development, unlike many others shopping lists in the Store! Trial version allows only 1 shopping list. ✓ One "superlist" containing products from all other lists (full version only). ✓ Four ways of adding products to the lists!